Another political drama is playing out in Imo State where it appearss Governor Okorocha is being kept in the dark for the primary in the state, just like before. Mr. Onwuasoanya Jones, spokesman of the APC in Imo, says Ahmed Gulak, chairman of the committee conducting the gubernatorial primary in the state, is missing. 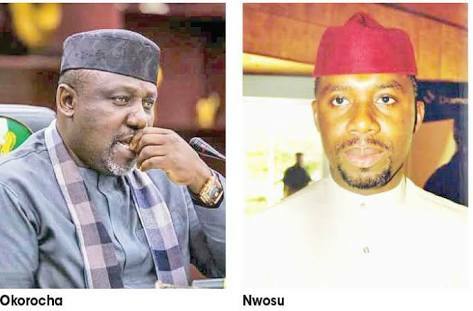 But in a statement on Tuesday, Jones said Daniel Madueke, chairman of Imo APC, went to the hotel where Gulak was lodged only to find out that he was not in his room. Jones asked members of the party in the state to remain calm. “While urging all party members to remain calm and await further directives from the party, we reassure all Imolites that the process of electing our party’s governorship candidate shall be transparent, free and fair, in line with our party’s philosophy of changing from the old order of impunity, corruption and brigandage and progressing to a new order of discipline, transparency and prosperity for all,” he said.